Do you want to delight your guests with something elaborate, with passion, and a high level music, but with the freshness of a young musician? Do you want to make the difference¬? I offer you a full music event based on the smooth vibes of the classical-acoustic guitar. Why classical music? Everybody needs, at certain time, an intriguing, intellectual, enlighten, passionate, full of virtuosity and tender music that brings out the best of their nature. That truly creates an unforgettable experience. With a wide repertoire made for all publics, from the younger to the elder, I offer you my no frontiers music, to make a significative day just better. Having Anytime classics perform for my birthday was definitely the best gift I could have received. The professional presence and outstanding interpretation complemented the already astonishing guitar muse. Not only that, each performance would engulf the listener's mind and provoke an amazing journey into the waves of imagination. Each note is full of emotions, connecting our senses and letting our souls digress in a timeless display of our own memories. Thanks Alexander for those beautiful words!I believe in creating meaningful experiences through music, and try to give my best, always, at every event! Imagine an event of 30-100 people are gathered to celebrate family reunion, a corporate event, or a cultural day in the backdrop of ever tantalizing cool breeze and sunset of South Florida. The delicacies are served, everyone is settling. Lamps lit. As it progresses, a misty fusion of classical, slow, unwinding desert styled guitar music hits the chord and adds to the saintly aura of the atmosphere – attaining depth and conveying the message of the event. The taste, the experience, the presence, the feeling – all become memorable. Let’s make your event the most-talked. Music is Art and Art is a perspective of life. Meaningful art experiences inspire people to achieve a meaningful life. Everyone deserves that. 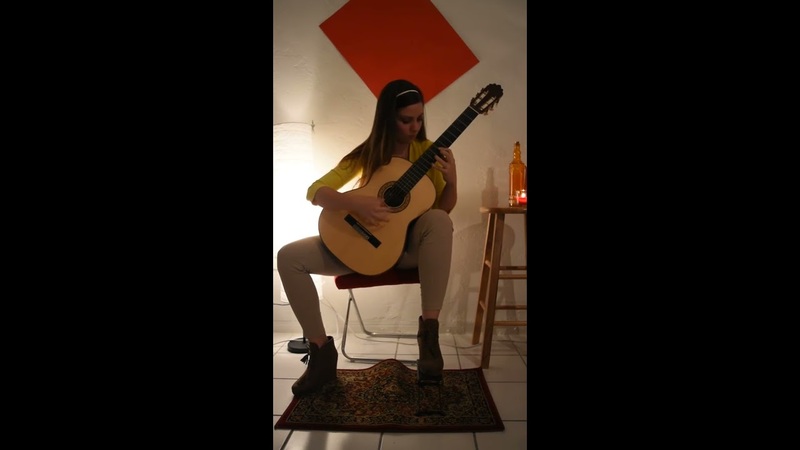 Laura Mazón an Internationally awarded guitarist is one of the most outstanding and promising artists in South Florida who envisions music performance as part of a wholistic Art expression. She is a very active artist, committed to innovation and a performer who is dedicated to the development of the classical guitar field in Miami. Laura is consecrated to the study and expansion of the guitar in the 21st Century, seeking to break boundaries between the popular (electrical/acoustic) and the classical styles, and to take the instrument to a higher level of reception to new audiences and generations. She combines a very dynamic performing career with her educational development and pedagogic approach. Innovation and Art integration are the words that drive her as a mission. 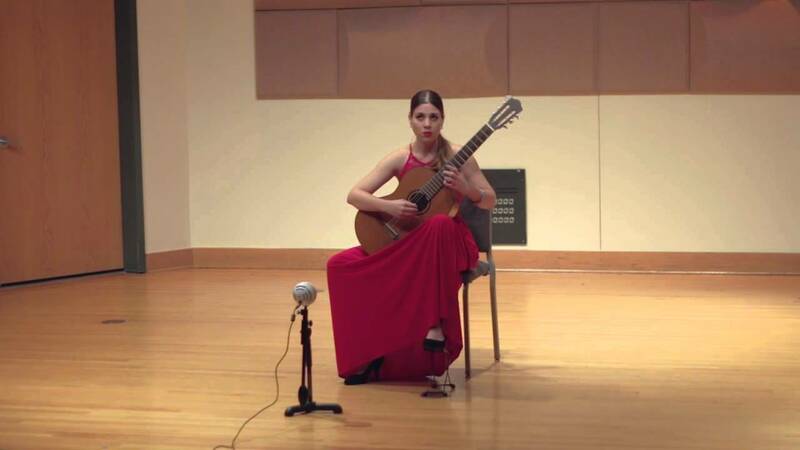 Currently she is a classical guitar performance Master’s student at the Frost School of Music (University of Miami) under the mentorship of Rafael Padron, a guitar professor at the University of Miami Frost Preparatory Program, an opportunity she got after being awarded with a Tuition Scholarship at the University. Due to her passion, zeal and commitment to music, her hard work and outstanding performances have not gone unnoticed as she has received very many awards, scholarships, honors and certifications. 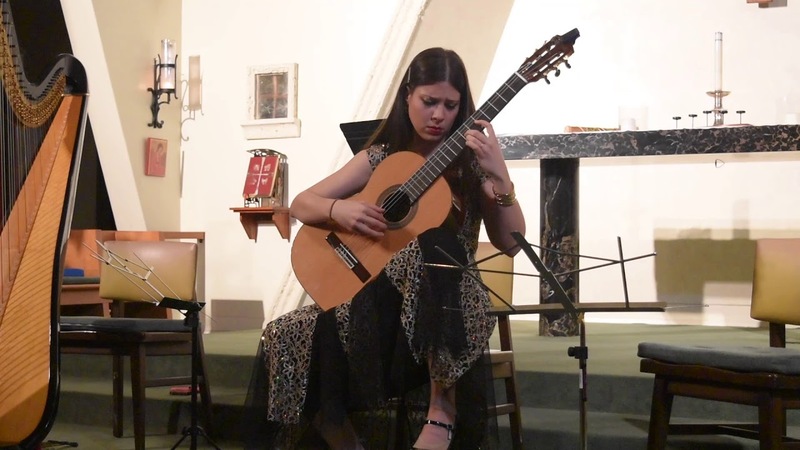 Laura was recently awarded with the Hispanic Scholar Recognition (awarded bu the Hispanic Scholarship Fund of USA) as well as Second Prize at the International Guitar Festival of New Orleans, being the first student in the history of the Miamian Institution to receive an international honor in the guitar field. Since age ten, Laura has been an active guitarist, participating in numerous master classes with some of the biggest names in the guitar industry (Leo Brower, Manuel Barrueco, Victor Pellegrini, Victor Rodriguez, Meng Su, Martha Masters, Adan Levin), performing at hundreds of venues around the world in countries such as Cuba, Spain, Ecuador and United States and engaging in numerous recording collaborations. 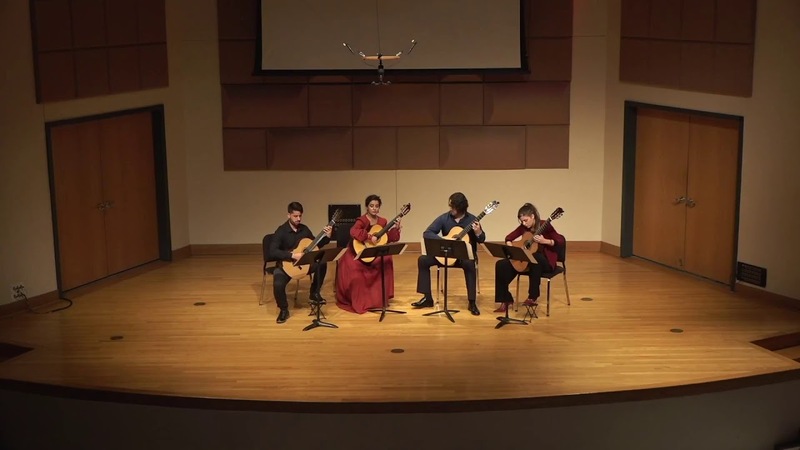 In her quest to expand her horizons, Miss Mazón has offered concerts at numerous renowned scenarios around the US such as Mid-Manhattan Library at NYC, Fiorentino Community Center at Harvard, Vizcaya, Etra Gallery, Clarke Recital Hall, Koubeck Center, Coral Gables Museum, and Miami Conservatory of Music Recital Hall among others. Laura is a recognized member of the IASMPL and the American Musicological Society. She has given numerous lectures and presented/published several articles. As an advocate for the noble causes as well as a way of giving back to the society, she has offered her art to support numerous non-profit organizations such as Shine Bright Foundation, Ress Family Program, Cure Search, and Sylvester Music Project and has also become a music ambassador on different occasions. She is an active member of the Florida Guitar Foundation and the Guitar Foundation of America. To crown her long list of achievements, Laura is also a recording artist, whose first collaborative cd, Dia de Abril (featuring the renown composer and guitarist Louis Valentine Johnson) will be released in mid- September this year. For Laura, sensibility, finesse, virtuosity and substance are her quintessential values in the search for a holistic musicianship. Her aim is to become a classical guitar rock-star and attract more audience from her performances and recordings. For larger events or places , amplification is necessary. Leo Brower, Joaquin Rodrigo, Paco de Lucia, Manuel Barrueco, Andres Segovia. Microphone and amplifier, depending on the acoustics of the place.If open air, necessary.